Prime Minister Shahid Khaqan Abbasi demanded to summon the National Accountability Bureau’s (NAB) Chairman to the National Assembly seeking an answer on allegations of money laundering imposed on Nawaz Sharif. 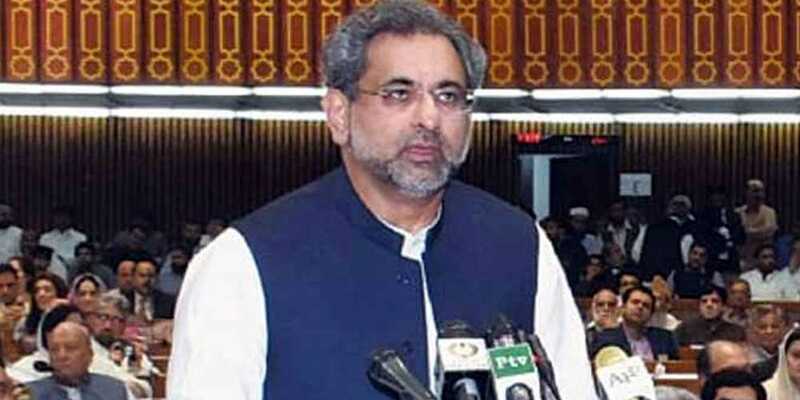 While speaking to the National Assembly (NA), Prime Minister Shahid Khaqan Abbasi said that it is the human demand to see the justice being served, NAB summoning the former Prime Minister on various occasions, there is no such example, the way the case is progressing there is no ray of hope for justice. Lashing out on Chairman NAB’s recent allegations towards the former Prime Minister Nawaz Sharif, Shahid Khaqan Abbasi said that NAB issued a press release on 8th May in which Chief of NAB says that Nawaz laundered $4.9 billion to India, If such things are done by the institutions, the country will not prosper, shame is that the name of Chairman NAB was suggested by the leader of the opposition for National Assembly Khursheed Shah which we agreed upon. It is our right that we put all such allegations in front of people and the House. This is a very serious matter, the person who is alleged to send money to India is not an ordinary person but the former Prime Minister of Pakistan. Prime Minister said that the House should look into this and summon Chairman NAB, ask him who gave him the authority to pass such statement without proof if there is one then prove it.